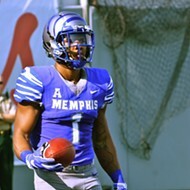 • How significant to the Memphis program is Saturday's game against SMU at the Liberty Bowl? For the first time — ever — the Tigers will play a game for a berth in a conference championship. 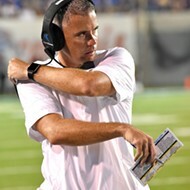 We've read and heard lots of "1 and 0" talk since Mike Norvell took the helm two years ago. (This actually preceded him, as Justin Fuente was a master of emphasizing each week as its own mini-season.) But the first goal for any college team is to win its league crown. Memphis tied for the AAC regular-season championship (with two other teams) in 2014, but the AAC didn't add a 12th team — and a championship game — until a year later. Conference USA held a championship the last eight seasons Memphis was a part of the league (2005-12), but the Tigers never finished a season atop their division. This is a big deal for the U of M.
The 18th-ranked Tigers actually get two chances to clinch the AAC West Division by virtue of a tiebreaker they hold over Houston (thanks to beating the Cougars last month). But if their aim is to climb the rankings and to be in the mix for the "Group of Five" berth in the Peach Bowl on New Year's Day, the Tigers need to handle the Mustangs this week. SMU has lost consecutive games (to UCF and Navy) but features an offense that ranks third in the AAC in scoring (39.6 points per game) and fourth in total offense (497.1 yards per game). Memphis, of course, ranks even higher in both categories (42.3 and 502.9). There's nothing wrong with a mid-day shootout the Saturday before Thanksgiving. Rest assured, after a bye week, the Tigers understand all there is to gain. And speaking of retired Tiger numbers, there is now a banner at the Liberty Bowl displaying the honored numbers of Bruce, Casinelli, John Bramlett, Charles Greenhill, Harry Schuh, and DeAngelo Williams. It's directly under the press box, as though a local scribe had been clamoring for just such a display. It's a small, but significant step toward further making the oversized Liberty Bowl a college program's home stadium. 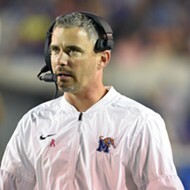 • With the Tennessee and Florida jobs now open, Norvell's name is going to be discussed amid rumored hires. He's earned this with a pair of stellar seasons in Memphis, and the buzz will only get louder if Arkansas parts ways with Bret Bielema. But for the next six weeks — certainly the next three — Tiger fans need to find a way to embrace the "now" and not fret over a decision they really cannot control. Focus is a job skill, and in the conversations I've had with Norvell over the last two years, he displays the focus of a trauma surgeon. I don't see him allowing his job status to weigh on the performance (and fate) of his 2017 Memphis team. I can't imagine compartmentalizing the wooing of other programs, but this is where Norvell's focus will be most critical. The Tigers may or may not win the AAC championship. They may or may not achieve the unthinkable and play in a "New Year's Six" bowl game. 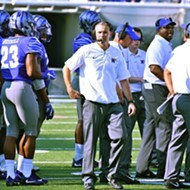 But I don't think Norvell's job status will impact either scenario. Let the chatter happen. And prepare for a "1 and 0" week. 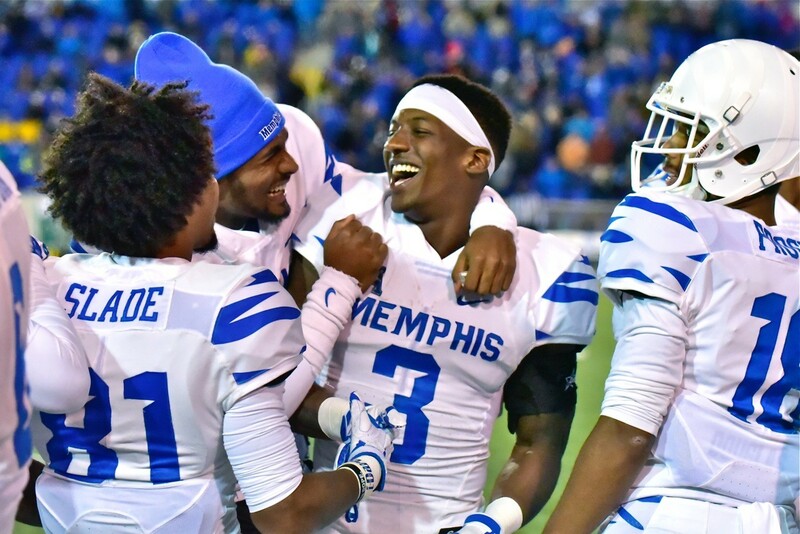 Tags: Memphis Tigers football 2017, Tigers vs. SMU, Anthony Miller's record, Mike Norvell, New Year's Six game for Memphis?